Eazy4U is a collection of three mobile applications: MyBus, MyBill and MyReload. 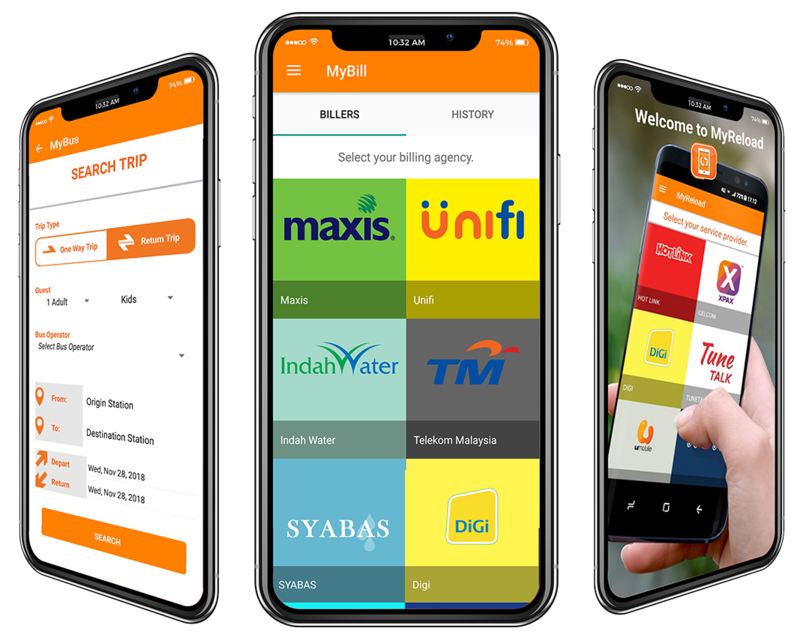 MyBill lets you pay bills to your utility providers such as TM, Digi, Syabas, TNB and more. MyBus allows you to buy bus tickets, while MyReload enables you to reload your prepaid account from anywhere at anytime. With all your billing, ticketing and reloading needs all combined into one handy app, you can be sure convenience now lies in your palm. Move from one function to another depending on what you want to do. It’s your call. The days of queueing up at counters are slowly becoming a thing of the past.